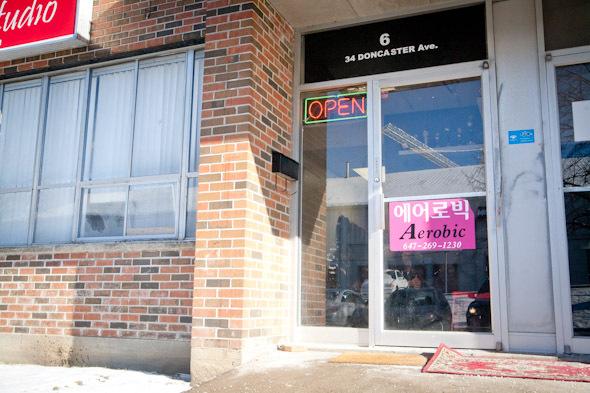 Ginga Fitness, the world's first Ginga studio has opened in Toronto, nestled between a tire store and a spa just North of the city. 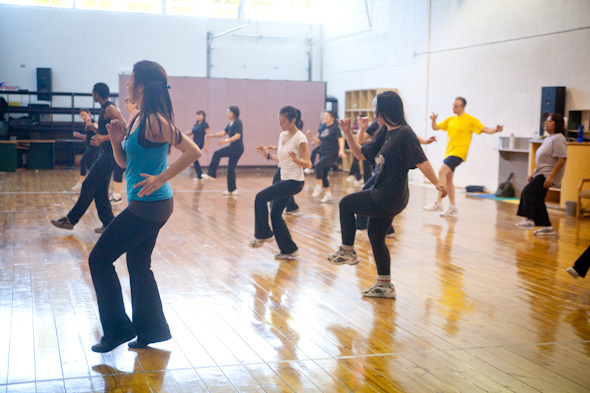 Classes are run by fitness guru and graphic artist Ken Homer, who invented the discipline three years ago. What is Ginga? It's half-dance, half martial arts. The basic idea is to have Brazilian Capoeira choreographed to Latin, Caribbean, African and international music. Just 10 minutes into Homer's first class at the new location, about 50 spandex-clad (mostly) women are already punching, squatting, and dancing like they just got cast in You Got Served . 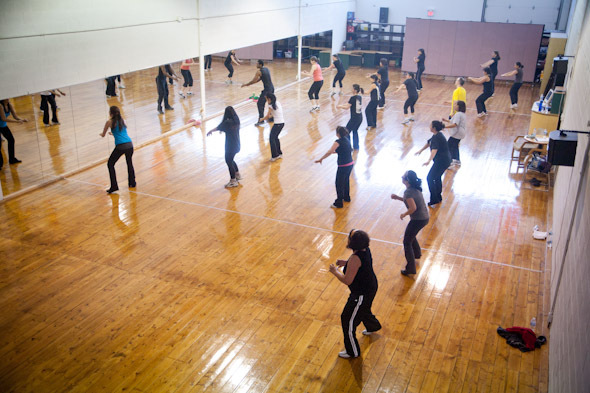 It quickly becomes clear that this class is meant for people who have a basic sense of coordination, rhythm, and endurance, or else no shame at all. 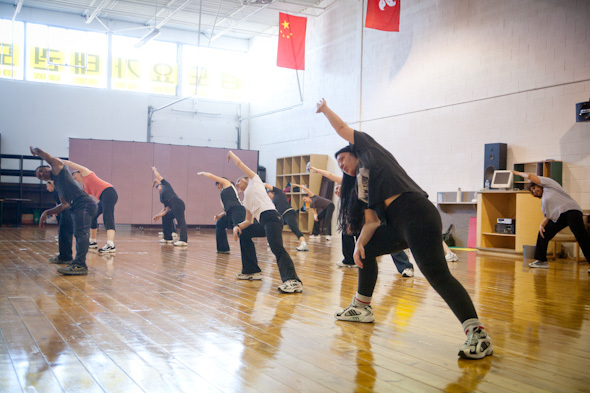 On the whole, the 60 minute class offers an energetic and thorough workout â a lot like Zumba, but with more squatting and punching. Homer, originally from St. Vincent, seems to have already amassed something of a fan club. Though he just opened his first independent location a few weeks ago, he's speculates that he's attracted over a thousand followers at fitness clubs across the GTA. Students travel from as far as Oakville to attend one of the numerous classes he offers every week. "I started out just teaching some friends in a basement. 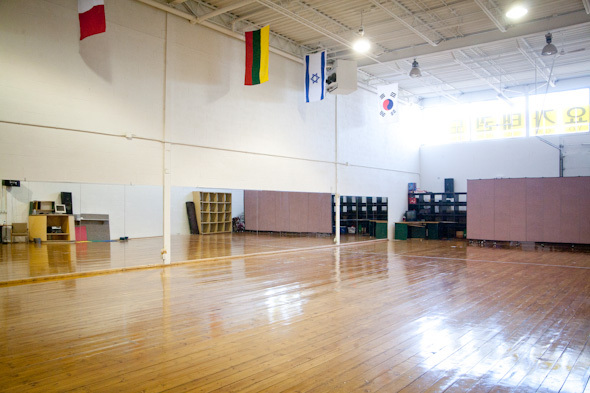 Now, there are 18 Toronto studios on the waiting list for a Ginga class at their facility," he tells me. "So I plan to hand-select a few potential instructors and run a sort of Ginga boot camp." The movements in Ginga come naturally to Homer, who learned that dancing had an athletic component at a very young age. In high school, he competed in breakdancing competitions before he spent 15 years learning martial arts. "I knew martial arts was a good workout, so I wanted to combine it with something fun like dance," he said. The name "Ginga" comes from a movement in Capoeira, the Brazilian martial art that underlies most of the choreography. "I couldn't keep referring to it as 'the workout,'" he jokes. Homer says that people are initially attracted to Ginga because they want to dance to reggae, pop, rap, and salsa, with a bit of punching and kicking. "But they come back," he says, "because it really tones the body, especially the glutes." 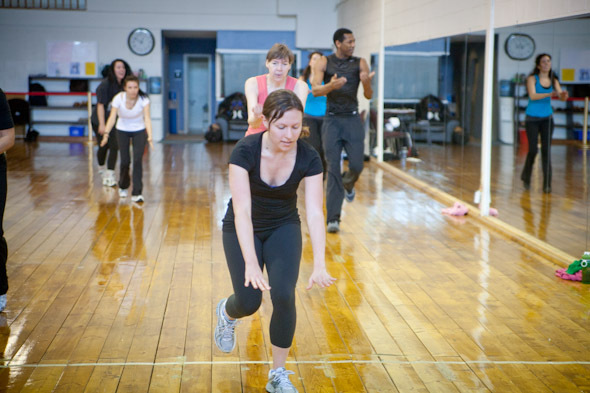 Classes at the North York location run Mondays at 8:00 p.m. and Saturdays at noon.